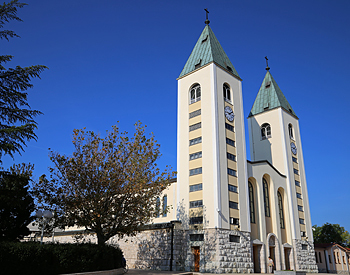 On June 25, 1981, in the tiny village of Medjugorje, located in Bosnia-Herzegovina, six Croatian children reported seeing an apparition of the Blessed Virgin Mary. 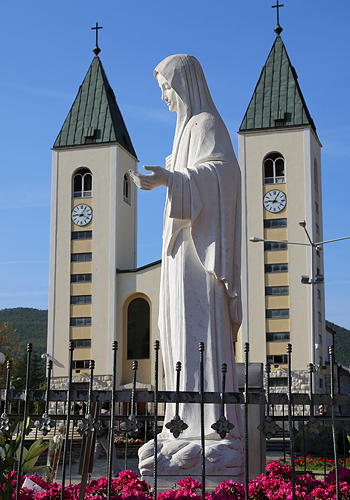 More than 35 million people from all over the world have now visited Medjugorje. Pope John Paul II and the Roman Catholic Church have acknowledged that this has become the greatest religious event of our time. Thirty four years later, Our Lady is still reportedly appearing, bringing a message of hope and peace to a troubled world. Queen of Peace Apostolate board members visited Vicka Ivankovic-Mijatovic, one of the six visionaries to whom the Blessed Virgin Mary appeared on June 25, 1981. Vicka is one of three who still sees the Blessed Mother every day. The other three visionaries each have one yearly apparition. Vicka spoke for more than thirty minutes, sharing Our Blessed mothers messages, and then prayed with us for all our intentions. Simply press the play button below to watch this video, no purchase necessary. Dragon, a wealth of knowledge, was our wonderful Tour Guide. "Dear children, when you come to me, as to a mother, with a pure and open heart, know that I am listening to you, encouraging you, consoling you, and above all, interceding for you with my Son. I know that you desire to have a strong faith and to express it in the right way. What my Son asks of you is to have a sincere, strong and deep faith - then every way in which you express it is proper. Faith is a most wonderful mystery which is kept in the heart. It is between the Heavenly Father and all of His children; it is recognized by the fruits and by the love which one has towards all of God's creatures. Apostles of my love, my children, have trust in my Son. Help all of my children to come to know His love. You are my hope - you who strive to sincerely love my Son. In the name of love, for your salvation, according to the will of the Heavenly Father and through my Son, I am here among you. Apostles of my love, along with prayer and sacrifice, may your hearts be illuminated with the love and the light of my Son. May that light and love illuminate all those whom you meet and bring them back to my Son. I am with you. In a special way, I am alongside your shepherds. With my motherly love I illuminate and encourage them, that with the hands blessed by my Son, they may bless the entire world. Thank you." Please subscribe to receive notification when we upload new videos. 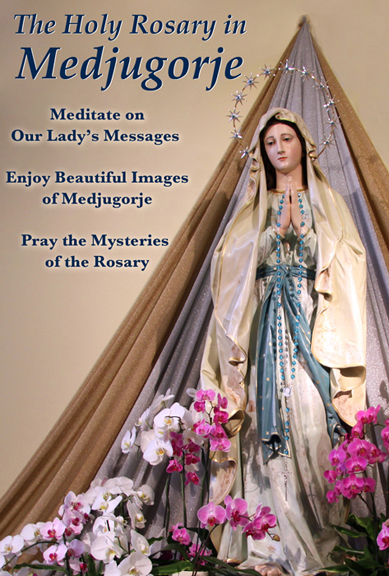 For those who have been to Medjugorje, the beautiful images viewed during this Rosary will help you vividly recall the sights of this holy shrine. Those who have yet to make the pilgrimage may be inspired to make the journey of a lifetime. During the Joyful Mysteries, climb Apparition Hill (Podbrdo), where the visionaries first saw Our Lady. The Luminous Mysteries are prayed while viewing scenes of the prayer areas around St. James Church and the hamlet of Bijakovici. The Sorrowful mysteries are prayed while climbing Mt. Krizevac where bronze images depict the Stations of the Cross. The Glorious Mysteries highlight St. James Church and other prayer areas, and culminates with evening adoration at the exterior altar. As you recite the prayers of this Rosary Our Lady's words appear on the screen allowing you to meditate on her messages of Peace, Faith, Conversion, Prayer and Fasting. Thank you for helping The Queen of Peace Apostolate to continue it's work. We appreciate your support! The Queen of Peace Apostolate is a non-profit, lay apostolate established in 1986. Sponsors an Anniversary Mass on June 25th each year at St. Mary’s Church, 35 Center Street in Waterloo, NY. Publishes a monthly online newsletter Via Ad Pacem promoting the monthly messages. We invite you to become an associate member of the Queen of Peace Apostolate. Members receive the Via Ad Pacem (The Way To Peace) newsletter and share in Masses and works of the Apostolate.